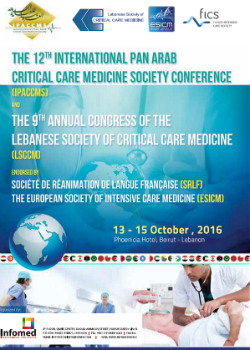 The LAU-CSC is organizing in collaboration with the Lebanese Critical Care Society, an airway management workshop that will take place at the Phoenicia Hotel in Oct 14, 2016 during the Pan Arab Critical Care Meeting. In addition to the Lebanese instructors, Dr. Ralf Krage, director of the ADAM simulation group at the VU University Medical Center, Amsterdam will be sharing his expertise in simulation training. This workshop offers to participants the opportunity to practice managing anesthetic emergencies using full patient simulation and real clinical teams. It will also increase participants’ non-technical skills and improve their ability to manage anesthetic emergencies efficiently and effectively. A debriefing in an informal atmosphere under the guidance of an experienced faculty will follow scenarios. This workshop is intended for anesthesiologists, emergency room physicians, intensive care physicians, nurse anesthetists, anesthesiologist assistants, residents of various training programs, fellows, and respiratory therapists, who wish to improve their knowledge, competence, and performance in advanced airway management. The equipment will be provided by Gaumard and Intermedic Companies. For registration, please call Infomed at 01 510880-1-2-3.